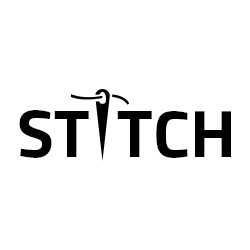 Stitch offers websites to start online business based on custom clothing. This is a dedicated platform developed uniquely for building online custom tailoring portals that target tailoring needs of people who do not have time or will to visit a brick and mortar shops. Stitch makes ordering tailor-made clothes a cakewalk for such customers. What Other Apparel solution do you use? Embroidery & multi-decoration system with over 200 embroidery fonts, technical embroidery features, editing, and digitizing. Zdesign On-demand PLM is an integrated Suite of Collaborative Design Studios for trend driven consumer product organizations. Zweave's software supports the design processes of emerging, mid-market and large retail and apparel manufacturers. Fashion Metric is a SaaS solution for apparel retailers and brands to personalize the customer's apparel shopping experience. Virtusize is a fitting solution, helping customers understand fit of clothes online. Fulfills the demands of a one man punching studio, as well as optimizing the workflow of a larger enterprise. Windows application for the design of counted cross-stitch patterns. GPRO revolutionizes how the world's textile and apparel companies work in the shop floor for more than a decade. The company's award-winning innovations and solutions have redefined how textile and apparel companies work in the shop floor through transformative innovation. Bblsystems is a point-of-sale software that helps clients with inventory management, purchase orders, event management, and marketing. Most Trusted and Successful Tailoring in India for Tailoring Business Management. Best in class Tailoring with 100% Satisfaction or Money-back. * We monitor all Stitch reviews to prevent fraudulent reviews and keep review quality high. We do not post reviews by company employees or direct competitors. Validated reviews require the user to submit a screenshot of the product containing their user ID, in order to verify a user is an actual user of the product. Hi there! Are you looking to implement a solution like Stitch?